If you’re looking for a car that’s proven itself to be a leader while constantly reinventing itself for the modern world, the search is over. 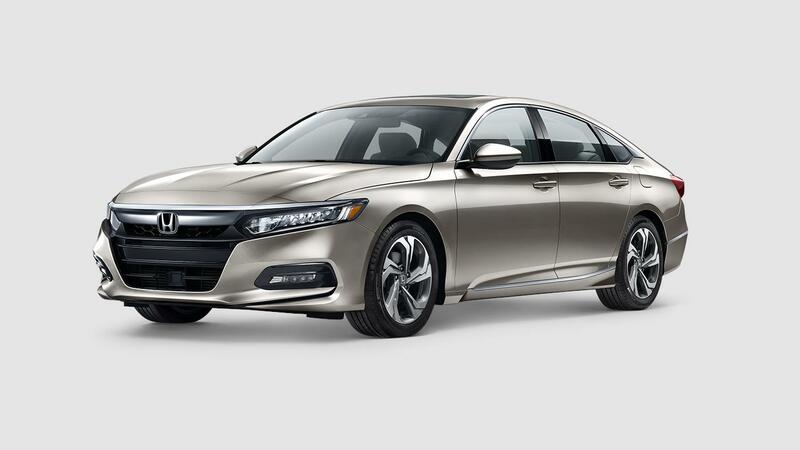 The 2018 Honda Accord Sedan EX for sale in Fontana, CA, has it all – over 40 years of innovation, stylish yet functional features, and a powerfully efficient driving experience. Learn more about the features and benefits offered by this luxurious sedan when you visit Rock Honda, near San Bernardino and Rancho Cucamonga, CA. Our dedicated staff is on hand to fulfill all of your automotive needs, whether it’s an answer to a question or assistance with getting pre-approved for monthly finance. We’re a short drive from anywhere in the Inland Empire, so visit us soon and let us help you find a great deal on your next vehicle! The 2018 Honda Accord Sedan EX is thoughtfully redesigned to enhance your commute, starting with its bold new exterior. Led by intense LED headlights and LED fog lights, the EX’s strong lines and attractive 17-inch alloy wheels make it nearly impossible to forget. Convenience features abound in this sedan, from heated and power-adjustable side mirrors to a one-touch power moonroof that lets you drive in open-air freedom. Leather-trimmed appointments add an elegant touch to a relaxing interior where class-leading trunk space and 60/40 split-folding rear seats reveal a maximum 16.7 cubic feet of total cargo volume – enough to bring a decent amount of gear along for the ride. Honda’s Satellite-Linked Navigation™ system offers cutting-edge infotainment via an 8-inch touchscreen display, maps with 3D renderings, and intelligent smartphone control from Apple CarPlay®/ Android Auto™. Browse our 2018 Honda Accord Sedan EX inventory near San Bernardino, CA, to find out more! With a 192-horsepower 1.5-liter VTEC® turbo engine at its core, you can be sure life at the wheel of the 2018 Honda Accord Sedan EX in Fontana, CA, will always be a fun experience. This machine features an advanced turbocharger to increase power, along with a continuously variable transmission that constantly adjusts the gear ratio for maximum fuel efficiency in any driving scenario. Additional benefits include the fuel-saving Eco Assist™ system, convenient Walk Away Auto Lock, and secure push-button start technology. 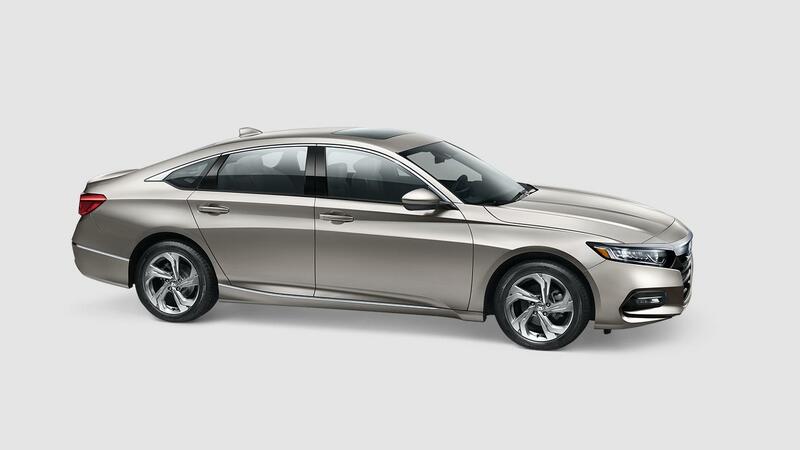 Safety is top priority in any Honda, and the Accord Sedan EX is no different. The elite Honda Sensing® package comes standard, and includes Collision Mitigation Braking™, Cross Traffic Monitor, Adaptive Cruise Control, and more. Discover these and more features in person when you test drive a 2018 Honda Accord Sedan EX near San Bernardino, CA!